Today is a very disorganized day for me. Everything on my schedule was messed up. So I decided to finish the binding on this quilt and only focus on it. I had other things I wanted to do but the technology demons are still lurking a bit. Today was an early one! I have a lot of projects to get done and it seems my time moves quickly so I am always trying to catch up. 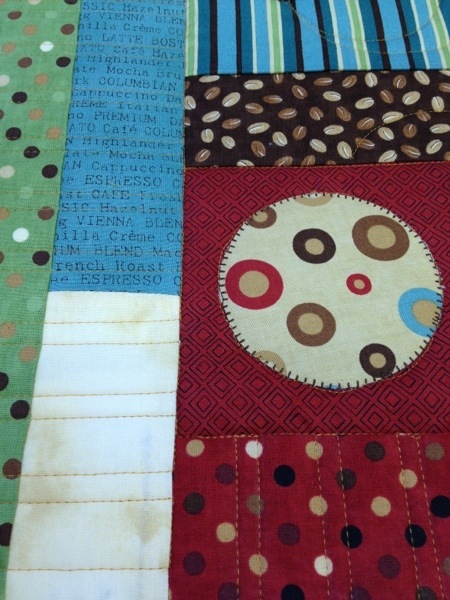 This quilt has very darling coffee fabric. I think I would like some of this fabric. I spent until late last night to get it quilted and out of the frame. Good thing my passion is quilting. I used circles and straight lines to compliment the design. 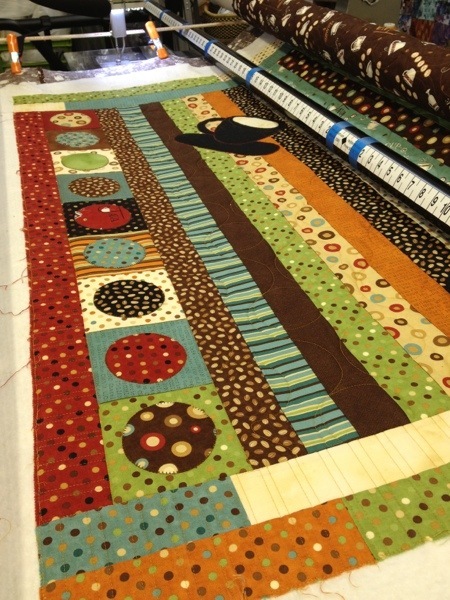 Now, I need to get the binding attached and then on to the next client quilt. I have had some life changes of late so I am sorry about the lack of writing the last couple of weeks. I finished this incredible quilt and wanted to share it with you. This quilt is from a BOM class I taught. 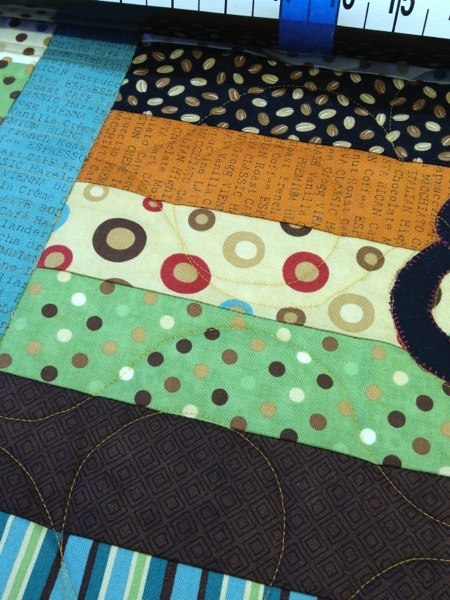 It is such a great quilt with a unique way of making the curves within the blocks. Each block has an ocean name so I wanted to have an ocean theme to the Freemotion quilting design. 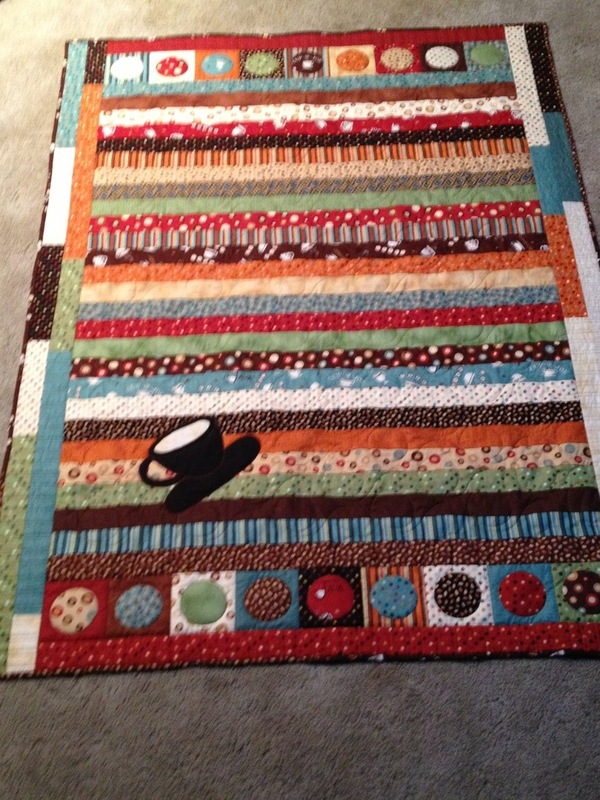 The colors chosen by my client really added to the great impact of the quilt. This block was great fun to quilt as the fish scales were an easy enhancement. I added seaweed, shells, starfish, bubbles, and even a seahorse to enhance this piece. 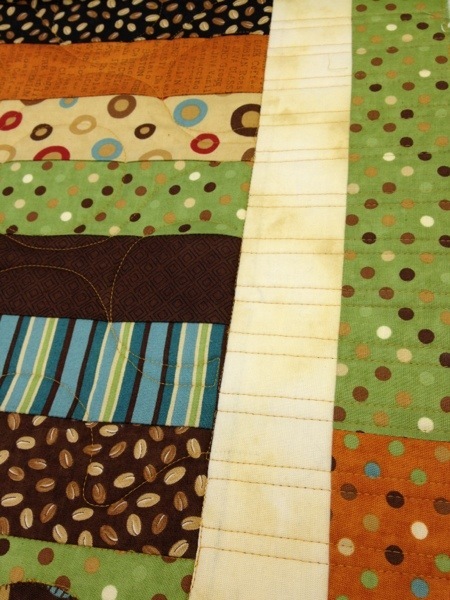 I really am a firm believer that the quilting should enhance not take away from the quilt. Been so busy quilting lately. Hang in there, pictures to follow. Today is a bit on the rainy side. Spent yesterday working in the yard, trying to get things ready for winter. I think it is going to be a long, cold, snowy winter. During October, I quilted and went to Portland instead of taking care of yard stuff. So, here I am, in the yard instead of quilting. The colors this fall have certainly been beautiful. Now I just need to stay busy inside with some projects to use those colors. Thought I would share some family pictures I have not shared with you to give you a smile. When tragedy happens, such as the Hurricane Sandy delivered to the East Coast, pictures keep me close to those I do not get to hug everyday.